Born and raised south of the Adirondack Park in Saratoga Springs, New York. Spent his childhood fishing in the Catskills, the Adirondacks, and on the Batten kill River. His passions also include rock climbing, ice climbing, and telemark skiing and camping in the Adirondack backcountry. His enjoyment of outdoor activities has led him on many adventures: west, to the Rockies and Sierra Nevada Mountains, and north to Alaska. John's interest in fly-fishing includes every aspect of the sport; he builds the fly rods he uses and ties the flies needed to catch the Adirondack trout. 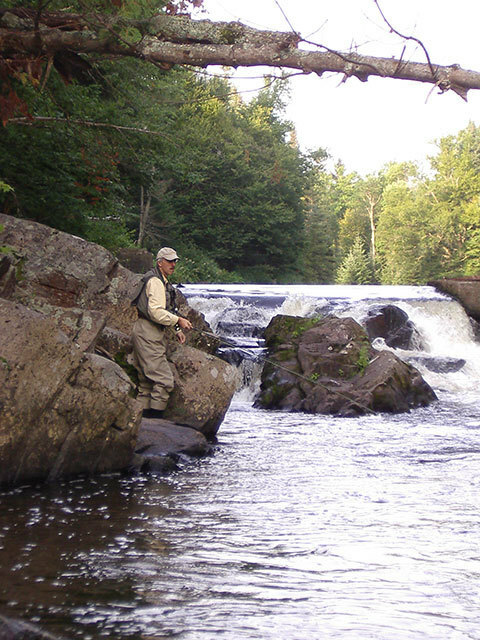 John has spent more than a decade living in Wilmington and chasing trout on the West branch of the AuSable River. He is an energetic angler and guide. His favorite fly-fishing technique is picking pockets with nymphs and large dry flies. 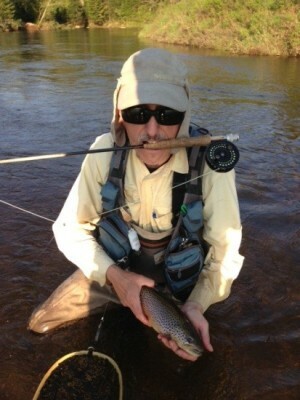 John enjoys introducing new people to the joys of fly-casting, reading the water, and catch-and-release fishing. He is always excited to work with experienced anglers on advanced techniques and introducing clients to his favorite Adirondack honey holes. Todd doesn't mind hike back in the woods for some backcountry action. Born is Saranac Lake, Todd has lived nearby the West Branch AuSable River his entire life. The Outdoors is his happy place whether its hiking, hunting, fishing, or XC skiing; there is no place he would rather be. Fly fishing has become his true passion in life. Terry lives in Lake Placid and spends his time guiding year round; fly fishing, sport fishing, ice fishing and cross-country skiing. When he isn't guiding you might find him on the court playing tennis. John has been fishing the ‘dacks for over 40 years and has had a popular television show for years on CBS called Adirondack Trails “Inside the Blue Line”. This experience has taken him to all corners of the Park fishing for brookies on the many remote brook trout water's in the area as well as the West Branch of the AuSable, Chateguay, Salmon and Saranac Rivers. John enjoys teaching the “new-comer” the basics of casting, how to break the river down into smaller sections, where the fish are and what you should know before selecting a fly. The more experienced anglers can be taken to more remote and challenging stretches of river that require careful wading and presentation. If grouse and woodcock hunting interests you don’t let the season end early without a “Cast and blast” with his German Short Haired Pointer!! !